Netflix. Spotify. And… your car? Are car subscriptions the new leases? Subscriptions aren’t just for magazines anymore. Have you ever wanted to trade out cars frequently? Only need a car for a few months at a time? Simply don’t want to be tied down for years with a traditional lease? 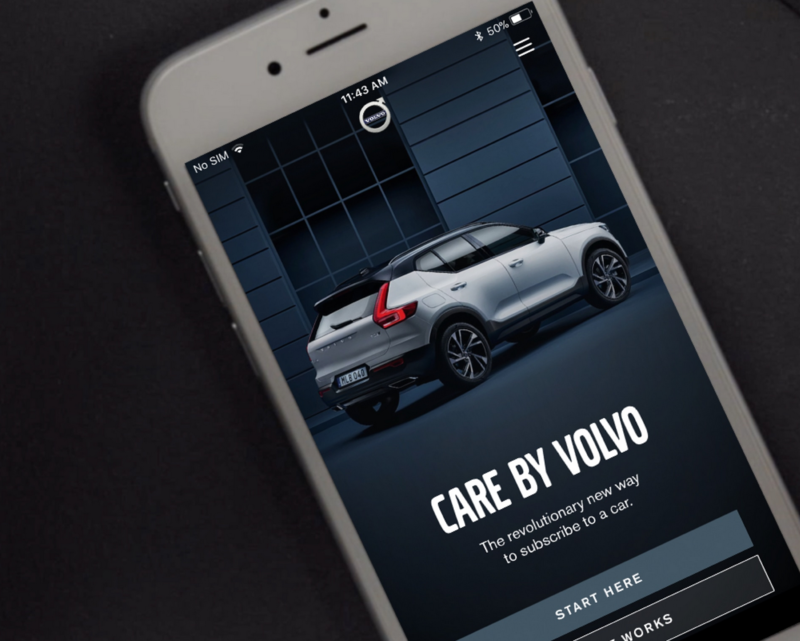 Porsche, BMW, Mercedes, Cadillac, Audi, and Volvo are beginning to offer subscription services to address these preferences. Porsche started piloting their subscription service—Porsche Passport— in Atlanta, in November. 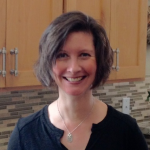 Their program offers two tiers: a $2,000 and a $3,000 per month plan. The less expensive one, called Launch, includes the Cayman/S, Boxster/S, Macan/S and base Cayenne. Accelerate, the $3k tier, allows access to the Carrera/S/4S and Carrera Cabriolet S, Panamera/4S, Macan GTS, and Cayenne S/GTS. There’s a membership fee of $500, but it appears to be month to month, with no commitment as far as duration. 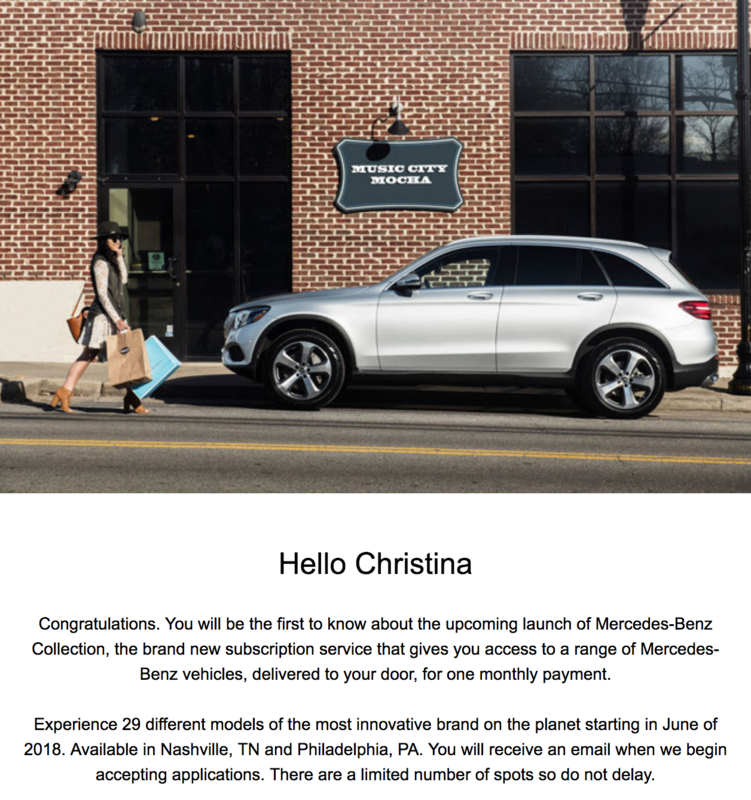 BMW began trialing a subscription program in Nashville in April, and Mercedes will also be testing in Nashville, as well as Philadelphia, beginning in June. Like Porsche, BMW also offers two subscription tiers: The lower priced plan provides a selection of more standard models like the 4 and 5 series sedans and X5s for $2,000. Jumping up to the next tier, $3,700 will get you access to M4, M5, and M6 convertibles (but apparently not the hardtop versions), and the X5M and X6M SUVs. The fee to join is $500, with no commitment beyond the initial month. Made me realize how much a Mercedes GLC does not excite me. BOOK by Cadillac is available in New York, Dallas, and Los Angeles. It runs $1,800 per month, and includes the (recently discontinued) ATS-V, as well as the CTS-V, CT6, XT5, and Escalade. As with most of the other programs, there’s a $500 initiation fee to join. Audi on Demand—currently available in San Francisco—takes a different approach; it offers much shorter term use of a variety of Audi models. 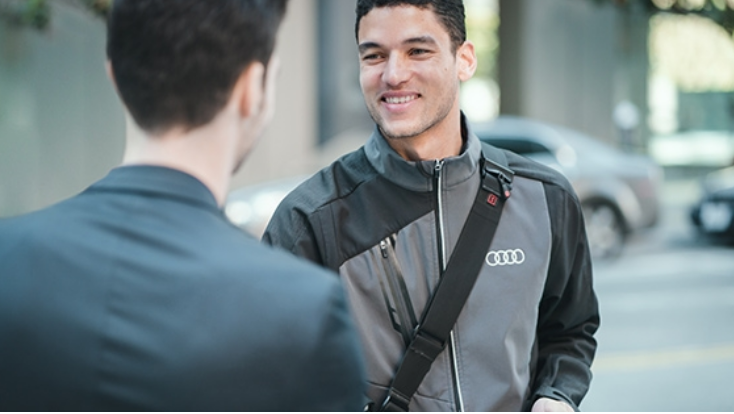 It’s basically an Audi-centric rental car program, with app-based booking and concierge delivery of the car to you. You can rent virtually any Audi model, including the R8. The sort of oddly-named Care by Volvo was launched in April with the introduction of the company’s hot new XC40 crossover. But the program has gotten off to a rocky start; there have been problems with availability of the promised XC40; a number of early adopters (who wanted to be among the first to get the XC40, and were also some of the first to sign up for the Care by Volvo program) who were promised their cars in early April are still waiting—with no delivery date in sight. The cars are apparently “stuck in port” in many cases, so the problem doesn’t seem to be any holdups in production. Yet Volvo hasn’t been very transparent as far as explaining exactly what the problem is. Would-be XC40 drivers are finding their assigned Volvo Concierges unforthcoming, and just plain unresponsive, and the few explanations that have been given seemed to blame Liberty Mutual, the insurer for Care by Volvo. Canvas is an alternative more focused on functionality and providing a flexible alternative to car ownership, offering the same insurance and support coverage as the other plans, but with flexible terms (one to 12 months.) The cars they offer are less exotic than the others: Ford and Lincoln SUVs, crossovers, and sedans. You can swap cars as often as you’d like—for a $99 fee. Which aspects might not work? It’s easy to imagine a few sticking points with these subscription concepts—some that are an immediate reality, and others that may or may not prove to be a problem. It’s a lot. In BMW’s case, the $3,700 fee is about two to three times what it would cost to lease the cars you’d have access to. Also—is there really enough variation among the M4-6 convertibles and the X5M and X6M to make it compelling to pay exponentially more to have access to those options? Wouldn’t it make more sense to simply lease the model you prefer (for a lot less than the monthly subscription cost)? That sounds an awful lot like setting the expectation that you may not always be able to get exactly the car you want. For $3,700 a month, I think most people are going to expect access to exactly the car they want, at exactly the time they want it. Including insurance in these plans, with a flat charge, seems potentially risky for the car maker. One subscriber vs another may have a vastly higher-risk insurance record, and cost substantially more to insure. It’s unclear at what point a driver’s record might cause them to be rejected by these programs, but it’s reasonable to assume that there’s some degree of averaging that factors into the included insurance cost. Which, if you’re a driver without any tickets or accidents, probably means you’ll be paying more than you would if you simply carried your own insurance. Driving record aside, having insurance included is likely a benefit for some, but maybe a slight drawback for others. Maybe a subscriber has their home and car insurance through the same insurer, and/or other family members on their policy, which often allows substantial discounts. Or maybe they have a longstanding relationship with an insurance agent that they’re reluctant to leave. Do people really want the ability to change cars like they change clothes? The two primary benefits of most of these programs—variety and lack of long-term commitment—each seem to stand on their own. You have to wonder whether the same people want or need both. It would be interesting to see an option to “subscribe” to just one car for a shorter term—maybe 6-10 months—than a typical lease. That would undoubtedly appeal to a lot of people who are happy with the same car, but don’t want to be tied down to a two to four-year commitment if they can get a shorter term without paying too exorbitant a premium. Alternately, the person who wants to be able to switch cars on a daily or weekly basis may be willing to pay a premium for that variety, and also might be willing to commit to a multi-month or even yearly term. It’s really anyone’s guess what drivers want. So it will be interesting to watch how these programs evolve, in their test markets and beyond.